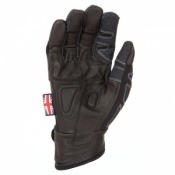 Tough yet flexible goat skin leather palm. Ideal for people who are responding to accidents and emergencies, the HexArmor EXT 4014 Extrication Gloves are ideal for countering a range of threats and keeping your hands protected. 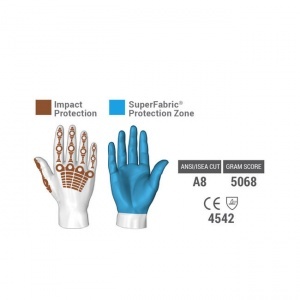 With protection against cuts, impact, punctures, and abrasion, the gloves have an excellent level of protection with a durability that lasts over repeated uses. The HexArmor EXT 4014 Extrication gloves also utilise a waterproof lining that make them suitable for comfortable use in wet environments. The HexArmor EXT 4014 Extrication Gloves are manufactured from a range of high quality materials that are designed to give the best level of protection against a number of threats. The gloves utilise different materials in different areas to give you protection that is tailored — for example, the knuckles have high impact resistance while the palms have better resistance against cuts. The HexArmor EXT 4014 Extrication Gloves use SuperFabric brand material for the palm, providing ISEA Level 5 cut resistance. 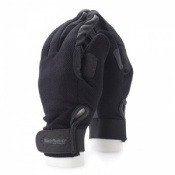 This makes the gloves ideal for dealing with extremely sharp edges for example glass and blades. To make the palm even more resistant, the HexArmor EXT 4014 Extrication Gloves features TP-X palm reinforcement patches that provides resistance against abrasion. The palm of the HexArmor EXT 4014 Extrication Gloves features a printed PVC synthetic leather provides greater grip in dry or light oil situations. On top of this, the Durable TP-X palm reinforcement patches (which are primarily for abrasion resistance) also help to ensure that the outer layer of the palm has an oil-resistant grip. Though cutting is the threat that most people worry about damaging their hands, it is just as important to consider the effect that impact can have. The HexArmor EXT 4014 Extrication Gloves feature a superior back-of-hand impact protection system that uses an advanced design to help dissipate and spread forceful blows across the hand. This dissipation helps to reduce the damage that is done by high levels of impact, ensuring that your hands are as protected as possible. It doesn't matter how much protection your gloves provide you with if they don't have the durability to be used repeatedly. The HexArmor EXT 4014 Extrication Gloves has been designed to last for a long time with internal and external seams that use double stitched core-spun thread. With a reinforced saddle between the index finger and thumb, the glove is less likely to tear in one of the most vulnerable areas. HexArmor has really taken the needs of emergency workers into consideration when creating the HexArmor EXT 4014 Extrication Gloves, giving you a finished product that features clever design elements for better quality. One of these is the SlipFit cuff that has a Velcro closure — making the glove both more comfortable and more secure. The HexArmor EXT 4014 Extrication Gloves also have an all-round high-visibility design that is great for emergency workers who may be working in the dark near dangerous areas (e.g. roads) where extra visibility is always a boon. 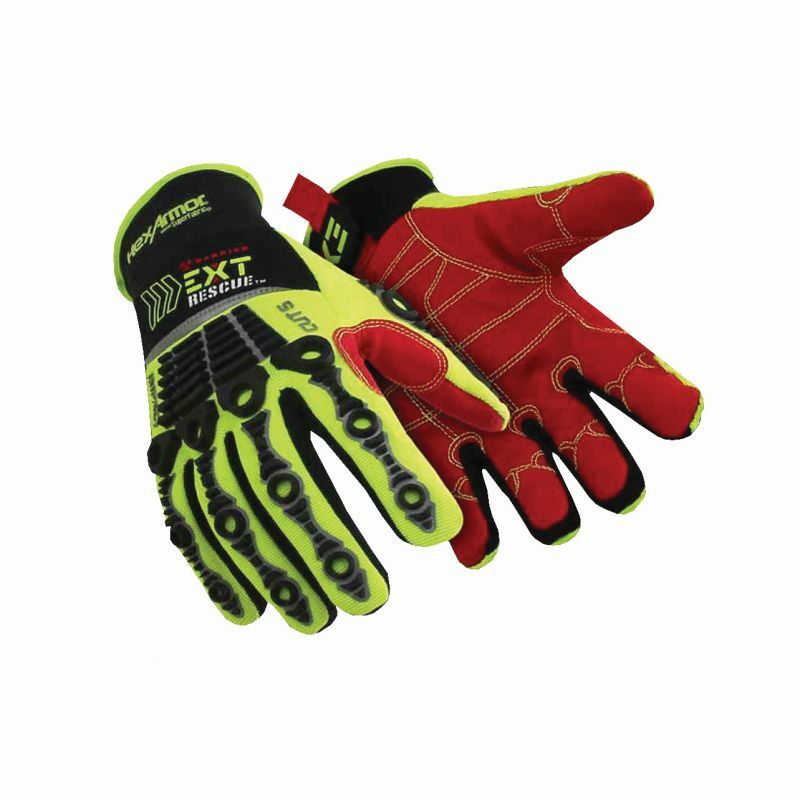 With a waterproof H2X barrier in the interior lining of the gloves, the HexArmor EXT 4014 Extrication Gloves offer an even better level of protection. Allowing you to use the gloves in the rain, the H2X barrier provides you with better comfort in a wider range of situations. The barrier also meets ASTM F1670/F1671 for bloodborne pathogen resistance and fluid-borne viral resistance, protecting your health when dealing with emergency situations. The HexArmor EXT 4014 Extrication Gloves are suitable for machine washing — please check the washing instructions on the product carefully before washing. Great gloves for a Recovery Techician. Apart from just meeting the BS requirements of PAS43 they are warm and comfortable. Definitely worth the money. 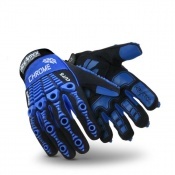 As a hands on Rally and race marshal, these gloves do the job perfectly. Protection from all the elements as well as giving me great grip and support to handle vehicles and equipment. I bought the extrication gloves as I am part of a national competition team. The glove came on time and very well made. Only problem I have found is that there too big, I ordered small and they are still to big on the finger for me.